What’s on the work table today? 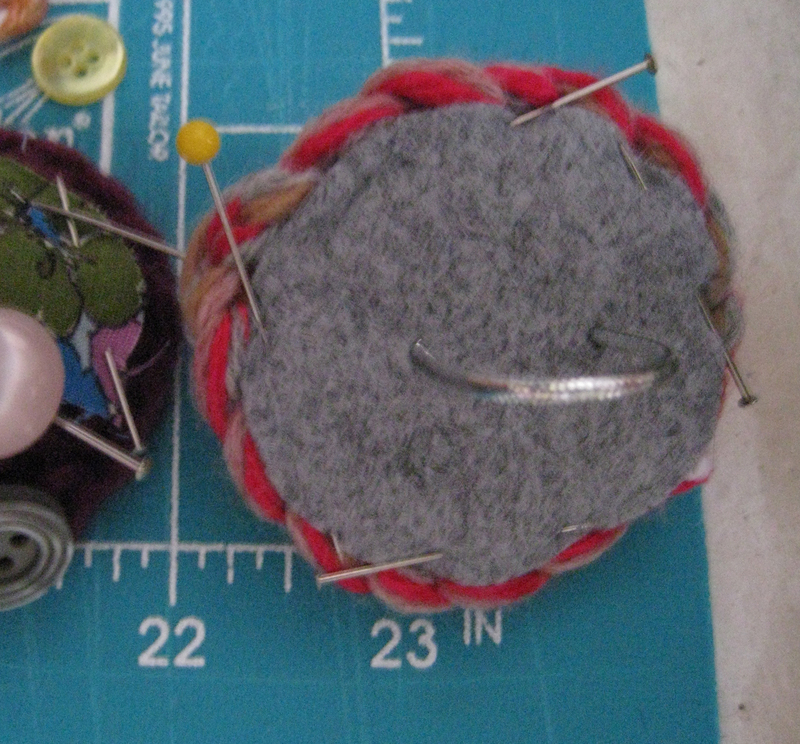 Right now I’m making collage rings that can double as pin cushions. I’ve been eyeing ring type pincushions for awhile and found some nice ones, but decided that I wanted one that could also be worn as jewelry. 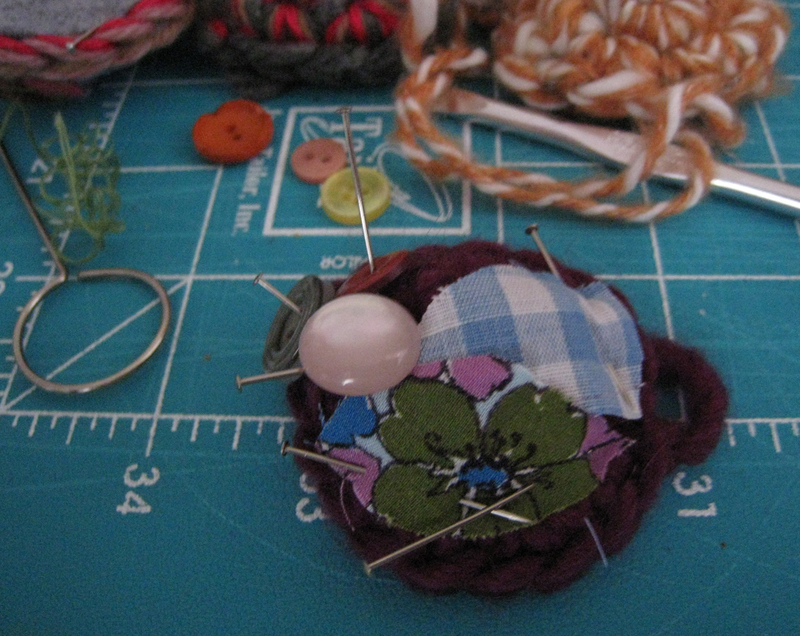 It’s a sweet little (or not so little) way to show my love of yarn, old buttons and bits of vintage fabric. I am planning to do a tutorial of this ring soon but for now here are some process shots of a productive day. 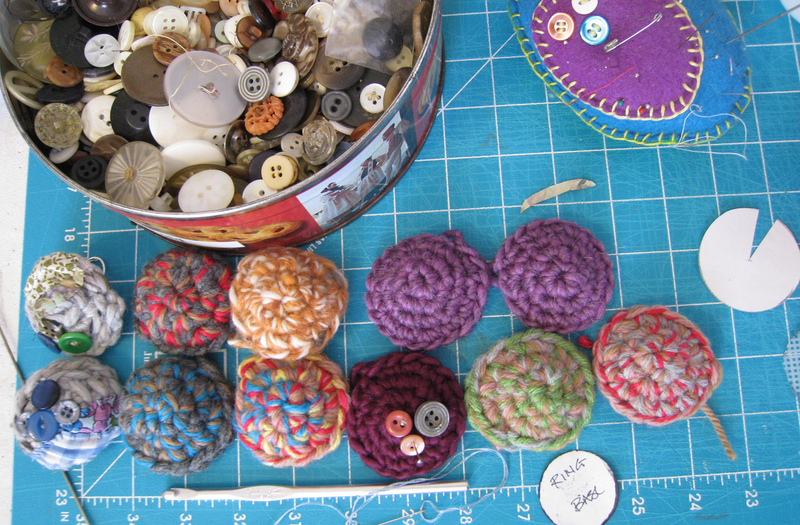 Some crocheted tops all lined up and ready for their buttons. With bits of vintage fabric and buttons ready to be sewn on. The final step is sewing on the back. 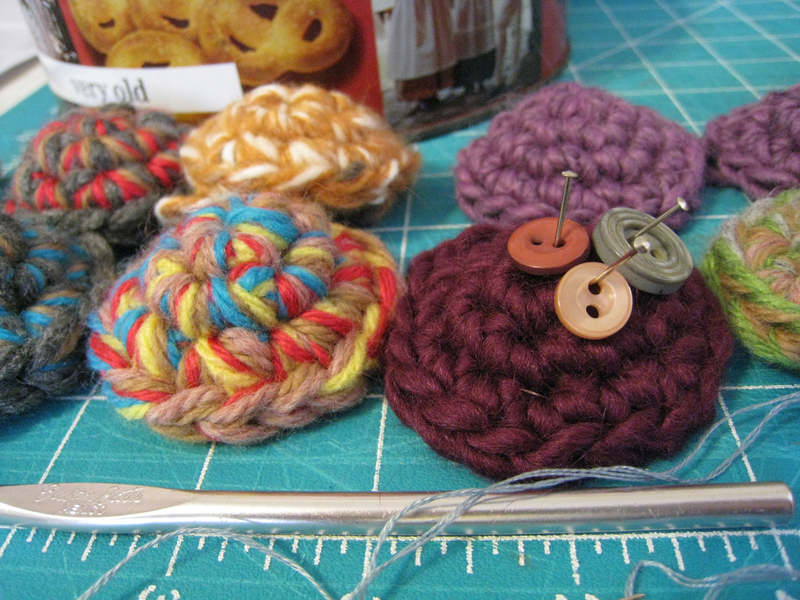 Getting ready for the next project: tassels…. P.S. I took these photos in the middle of a power outage during a thunder storm, they turned out pretty good considering….